The Jemini Entry Level Seating Range is competitively priced Entry Level seating, covered in Pyra fabric and tested to BS7176 medium hazard. Suggested maximum sitter weight 16 stone. Tilt model complies with BS EN 1335 Part 2 (strength and stability). 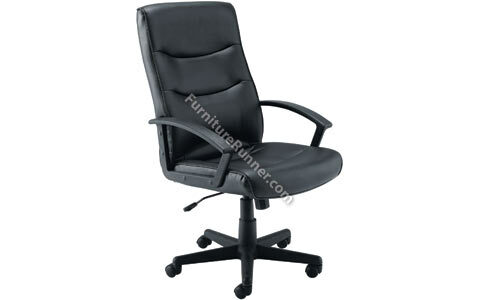 Jemini Leather Look Executive Chair has recommended usage time 8 hours. Seat dimensions: W515 x D550mm. Back dimensions: W550 x H675mm. Seat height: 450-550mm.